The following conversation between Professor Myriam Denov and me is the third discourse (Part Three) in a series entitled The Brick Project Conversations. It is a project that was conceived by Karim Ajania, the Editor-in-Chief of Brick Project 2106, as the subject of his doctoral thesis at the Harvard Graduate School of Education (HGSE). The core premise of the Brick Project is the building of global school communities and the development of innovative multi-cultural curriculum within these communities in 4 subjects: History, Ecology, Art and Literature / Oral Storytelling. The Brick Project was carefully crafted with the guidance and the endorsement of two Nobel Peace Prize recipients who worked closely with Karim – Betty Williams and Desmond Tutu. Karim also developed the curriculum components of The Brick Project with faculty and researchers at the Media Lab at MIT, including Professor Richard Leacock, and with faculty and researchers at the Harvard Graduate School of Education, including his thesis supervisor, professor Sara Lawrence-Lightfoot, a MacArthur Foundation Fellow and a former Chairman of the Board for the John D. and Catherine T. MacArthur Foundation. Chloé Suberville is completing a Bachelor of Arts at McGill University with a major in International Development and a double minor in Political Science and Sociology, and is concurrently part of various developing projects within Haiti. Chloé intends to pursue a career based upon the well-being of children around the world. 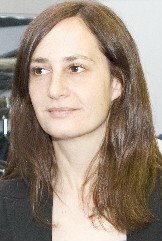 Myriam Denov is a Full Professor at McGill University in the School of Social Work. She holds a PhD from the University of Cambridge where she was a Commonwealth Scholar. Her research and teaching interests lie in the areas of children and youth in adversity, and international child protection, with an emphasis on war and political violence, children in armed conflict, and gender-based violence. She has worked nationally and internationally with former child soldiers, survivors of sexual violence, and people living with HIV/AIDS. Her current research is exploring the militarization and reintegration experiences of former child soldiers in Sierra Leone and Colombia, and war-affected youth living in Canada. She has presented expert evidence in court on child soldiers and has served as an advisor to government and NGOs on children in armed conflict, and girls in fighting forces. 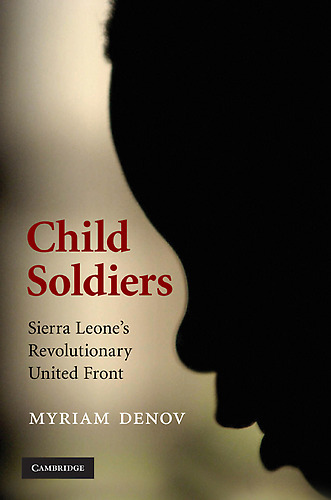 She is the author several books including Child Soldiers: Sierra Leone’s Revolutionary United Front (Cambridge University Press) and Children’s Rights and International Development: Lessons and Challenges from the Field (Palgrave Macmillan Press). She currently leads a multi-institutional and multidisciplinary research team on children and global adversity. Chloé: What value do you perceive in students in the schools around the world learning about the plight and the circumstances of child soldiers? Myriam: In the context of north America, there is a significant lack of knowledge as to what is going on in other parts of the world, particularly in the Global South. I think it’s extremely valuable for young people here to know what’s happening in other parts of the world. It enriches their own education, their awareness of global issues, and can assist them in becoming more implicated in global politics. I teach at McGill University and I normally lecture to university students. I recently had the opportunity to speak at a public school on the issue of child soldiers and I found the responses of children in elementary schools to be incredible. Despite living in Canada, they really identified with the issue, were touched by it, and expressed that they wanted to do something to prevent children being recruited into conflict. 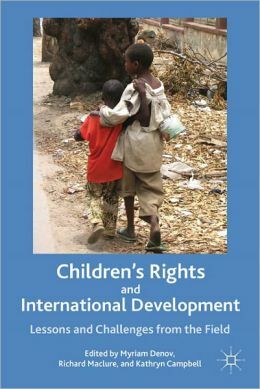 I think that openly discussing these issues becomes a real opportunity to educate broadly in terms of children’s rights, international child protection, and child advocacy. The child soldier issue is not a developing world “problem”, as many assume it to be. We are all responsible and we all have implicit links and connections to the issue whether it’s through buying diamonds that originate from conflict zones, or using cell phones that contain coltane that often fuel armed conflicts. Using educational forums to discuss our mutual responsibility, to share our knowledge, and try to find ways to prevent recruitment of young people in armed conflicts is fundamental. Chloé: How did you find that the children reacted? Myriam: Prior to going into the elementary school, I wasn’t sure how the children would respond. The reality of children being involved in armed conflict – being exposed to or using weapons is incredibly foreign to most North America children. Most of us are fortunate enough not to know what it means to live in the context of war. I didn’t know if the elementary school children would identify and connect with the issue. I went in there not knowing; but they were so sharp. They asked excellent and insightful questions, and showed a real interest. I was really impressed. Chloé: I would love for you to talk a bit more about the recruitment process of these children; are they just abducted and forced to do the “dirty” work, or are they brainwashed as well and convinced that what they are doing is the right thing? Myriam: It depends on the context that we are talking about. We cannot generalize as each context and armed conflict is different and there are different historical, geo-political and socio-economic issues at play. 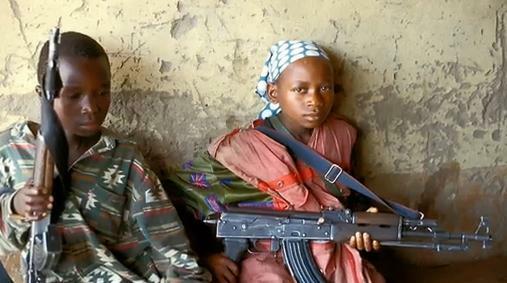 In some countries, children have been forcibly recruited into conflict. In these cases, children have been abducted from their families and communities and forced to join an armed group. There are other situations and contexts, however, where children may make the decision to join an armed group. However, the reasons children “join” an armed group should make us question whether it truly represents a real “choice”. For example, children have often reported that during war, they feel more protected and safe in the context of an armed group. Also, the armed group often provides food; it can provide a sense of family, particularly for those who may have lost their families. It may also provide a sense of belonging…so there are all sorts of fundamental reasons why children might decide to join an armed group, particularly in order to protect themselves. In some contexts, affiliation with an armed group is sometimes perceived as being glamorous. For some, it may also provide feelings of status and power. In other situations, youth may join an armed group as a means to escape abusive or exploitative family situations. So when you’re talking about voluntarily “joining”, it’s a complex issue that does not always represent a clear cut choice. Girls are part of armed groups – its not only a context of boys. Chloé: What does a child soldier do on a day-to-day basis? Could you create a fictive character and explain what he would do from the moment he wakes up to the time he goes back to bed? Myriam: It’s a difficult question to answer because we can’t generalize what all child soldiers do. But girls are also part of armed groups its not only a context of boys. Children can take on very different roles during the context of armed conflict, which makes it more difficult to say that there’s a “typical” day. Their roles and tasks may vary according to their age, strength, and the context of the armed group. Some children may act as messengers or spies, they can also be porters (carrying arms and ammunition), or be directly involved in combat. Some may be involved in all of these activities. They may also be involved in domestic work such as taking care of younger children, cooking, and laundering. 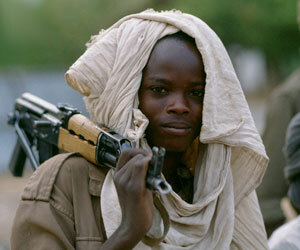 Child soldiers are often portrayed as those who are fighting directly in combat. In contrast, roles that involve cooking and laundering – activities that girls are typically involved in – are often activities that are perceived as “peripheral” or tangential. However, these activities are actually fundamental to the overall functioning of armed groups. In this sense, despite of profound invisibility and marginalization, girls are fundamental to the war machine – their operational contributions are integral and critical to the functioning of armed groups. Chloé: I am very interested in knowing through what processes these boys are able to reintegrate society after having lived the war and seen so much. And at what point do they quit the “war” society to go into normal society? 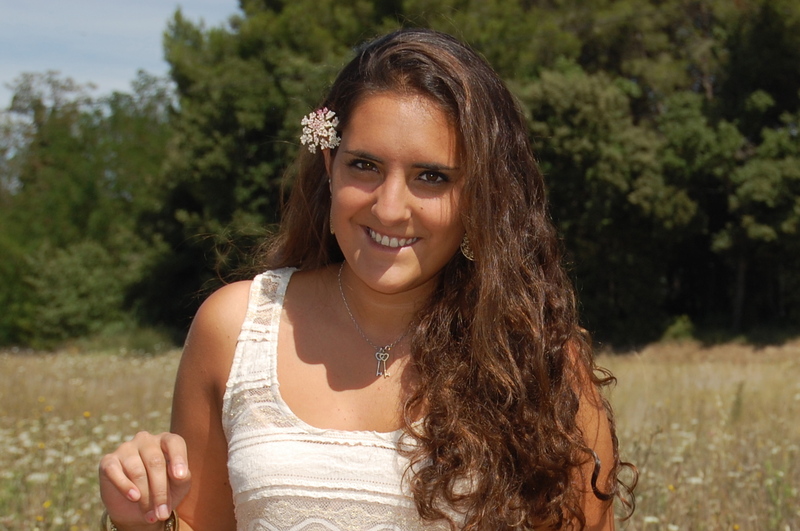 Myriam: The difficult transition from a militarized life in an armed group to a civilian life is well known. To ease the transition, national and international efforts have implemented post-war development assistance projects and programs. What is known as “disarmament, demobilization and reintegration” (DDR) programming is increasingly being used as a means out of organized violence. DDR efforts have been supported by the World Bank, UN agencies and NGOs. Disarmament, demobilization and reintegration are said to be crucial to increasing security, public safety and protection in the aftermath of conflict, as well as promoting peace. DDR programs have figured prominently as part of UN operations in Angola, Burundi, Cambodia, El Salvador, Guatemala, Liberia, Mozambique, Northern Uganda, Sierra Leone, Sudan, and Tajikistan, to name a few. DDR processes aim to break up militarized structures, disarm combatants, and establish a reinsertion process where ex-combatants are provided with training and education to help them go from the militarized life to a civilized one. In Sierra Leone, for example, the DDR process was conducted at reception centres placed around the country and involved the assembly of combatants, collection of personal information, verification and collection of weapons, certification of eligibility for benefits, and transportation to a demobilization centre. In the initial phases of DDR, to qualify for entry to the program, each combatant was required to present a weapon at any of the official reception centres. As a prerequisite for participation in the program, every candidate was required to respond to questions and to disassemble and reassemble a gun, normally an AK-47. “Disarmament, demobilization and reintegration” (DDR) is increasingly being used as a means out of organized violence. This “one-person, one-weapon” approach was later changed and group disarmament was instituted where groups would disarm together and weapons turned in jointly. At the reception centres, ex-combatants normally received basic necessities, reinsertion allowances, counseling, and transportation to a local community where they elected to live permanently. Once in the community, many ex-combatants were involved in training programs designed to ease their reentry into the local economy. Gender and DDR has also been an issue of concern. There have been clear indications that girls formerly associated with fighting forces continue to be marginalized within such initiatives. The disarmament, demobilization and reintegration (DDR) programs in the contexts of Angola, Mozambique and Sierra Leone provide examples of post-conflict gendered exclusion by privileging male combatants at the expense of women and girls in fighting forces. Some of the children I worked with had been abducted when they were very young sometimes as young as 4 years old and they didn’t remember their biological family. They had actually grown up within the armed group. Others had been part of an armed group up to 9 years. 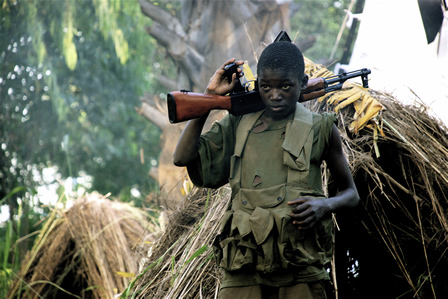 When guns fall silent former child soldiers may find themselves in a grim world of boredom, poverty, and disillusionment. If you think about these formative years for young people, they spent a significant amount of time away from their families and their communities in a context of severe violence. Suddenly, when they leave the armed group, in a short time span, they are often compelled to shift from a highly rigid militarized environment, to a civilian existence. 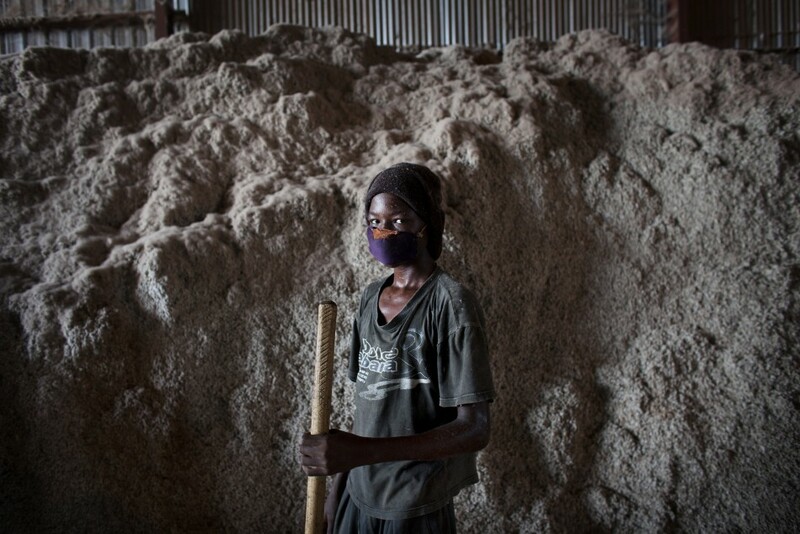 Former child soldiers are faced with the need to be reintegrated into norms and institutions from which they had been isolated, often for years. In some contexts many may face social rejection from family and community, as well as economic hardship due to structural factors such as a lack of educational and employment opportunities. Others may also be at risk of extreme frustration when the conflict, which in many ways defined their lives, ends and they must redefine themselves all over again. War may also have provided opportunities, status, financial rewards, and meaning. When the guns fall silent former child soldiers may find themselves in a grim world of boredom, poverty, and disillusionment. Part of the challenge of so many young people was that during the conflict, they didn’t have the time or capacity to reflect on their actions or behaviour. 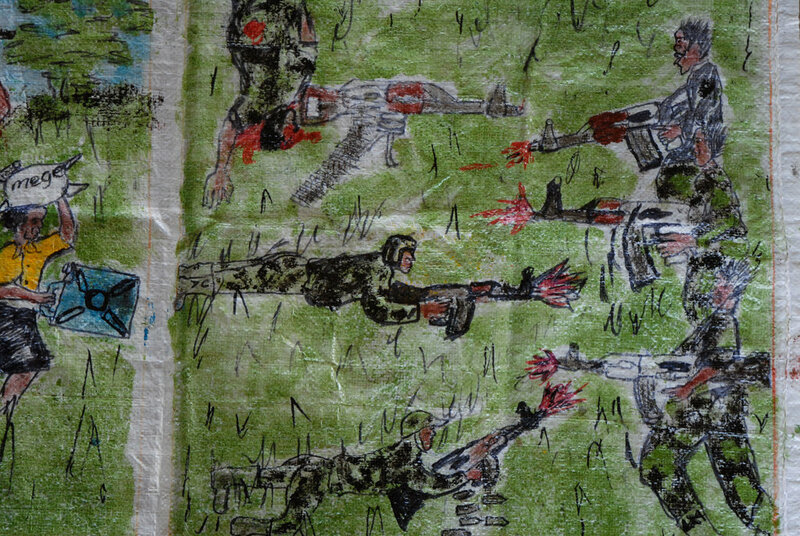 During the war in Sierra Leone, many child soldiers were forced to use drugs, so their sense of reality was distorted. After the war, they suddenly had time and space to reflect on their actions – for some, this reflection process often brought a great deal of shame, sadness and guilt. Moreover, many faced rejection from their families and communities on their return. The reintegration period is one that is long and can be extremely challenging, depending upon the situation of the young person and the availability of support from family, community and peers. While it’s important to acknowledge the challenges and difficulties that former child soldiers – both boys and girls – face in war’s aftermath, it’s also equally critical that we recognize their capacity and ability to overcome adversity. Most are able to move on to lead productive lives and become key contributors to their families and communities. Most of the young people that I have worked with have become insightful adults, caring and compassionate parents, and important and contributing members of their communities. They have, often despite great challenges, rebuilt their lives – all in the absence of violence. 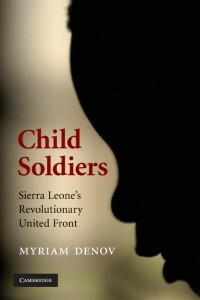 During the war in Sierra Leone, many child soldiers were forced to use drugs, so their sense of reality was distorted. Chloé: Was there prosecution of child soldiers in Sierra Leone? Myriam: No. The Special Court in Sierra Leone had the legal capacity to try those between 15 and 18, but the prosecutor made the decision that he would not prosecute anybody under 18. The Special Court focused on those who bore greatest responsibility for the war. The Court did not focus its attention on those in the lower ranks. Chloé: How did you come to study in this field and where did you get your interest from? Myriam: I did my doctorate at the University of Cambridge and my work at that time focused on child protection issues and children as victims of violence. After my doctorate, I began exploring more international issues and was really interested in the capacity of children to overcome wartime adversity. At the time when I began doing research on the topic, Sierra Leone’s war was well underway and it was one of the countries that had the highest numbers of child soldiers. The war has been over since 2002. The country has come a long way in post war recovery. Nonetheless, many of the issues that sparked the war, such as poverty, youth unemployment, disempowerment, rural marginalization, have not disappeared.